Home window tinting offers so many benefits to home owners on the Central Coast. 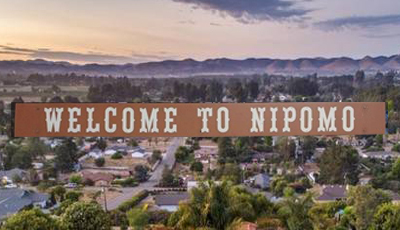 Nipomo residents understand how fortunate we are to have sunshine so many days throughout the year. But sunshine can also bring some concerns, like damaging UV rays, unwanted heat build up and irritating glare. Wood flooring, carpets, draperies and even our own skin is affected by harmful UV rays. Even pleasant days outside can become uncomfortably hot inside when heat builds up through unprotected windows. No one likes to watch TV or work on a computer with sun glare issues! Every room in your home can be made more comfortable with professionally installed window tinting by Apex! It will reduce the heat that gets inside so it can’t build up, and will reduce that annoying glare! So Enjoy your TV shows, have fun on your computer and stay a comfortable temperature with Apex window tinting! Did you know normal glass windows offer no protection against damaging UV rays that harm your skin? Skin cancer is one of the most common, and most preventable forms of cancer. UV radiation is known to be a contributing factor in many Melanoma cases. We are all pretty good, these days, about putting on sunscreen and protecting ourselves when we go outside. Unfortunately most people don’t realize that the damaging UV rays go right through glass and never think to protect themselves when they are inside. With Apex solar window tinting installed 99% of those harmful rays are stopped from entering your home! Home security is also a concern for many Nipomo residents. We carry Security Film window tinting too. Security window tinting film adheres to your windows and decreases the amount of glass fragmenting that can occur with a broken glass window. Nurseries and children’s rooms are perfect candidates for security film. Apex security films range in thickness (4 mil. to 15 mil.) making windows much harder to break and get through. Of course nothing can ever completely stop a determined person from getting in, but security window film gives an added bit of protection, slowing them down and providing valuable time when waiting for help to arrive. Some people believe that having their windows tinted will look odd from the outside or even make it too dark inside. No! The current advancements in this industry provide a beautiful balance of security and protection! We will work with you to provide the perfect solution to meet your specific needs. Apex window tinting film, blocks harmful UV, keeps out glare and heat without sacrificing natural light! If we cover our windows with cloth or blinds, trying to get some relief, we may get a little shade, but the heat still enters, and we’ve blocked our view. Home window tinting will block the heat before it enters your home, keeping you cool and your energy bills down. Windows that have an unfortunate view or that must be covered for privacy can also be a problem. Problem solved with Apex decorative window tinting films! We have a large selection of decorative films including: opaque, frosted and one-way. Whatever your needs or personal taste, we have the window film that’s just right for you! We’d love to talk to you some more about how Apex can help you with your Nipomo 93444 home or even your office window tinting needs!